He was born in Harrisburg on September 1, 1936 and was the son of the late Richard A. Sr. and Helen Brought Fox. He was a graduate of William Penn High School class of 1954; was a United States Air Force veteran; he was retired from the Bethlehem Steel Corporation, Steelton, and Hersheypark; was a charter member of Garden Chapel, Lower Swatara Township, where he served as treasurer for over 17 years, was a former Commissioner of Lower Swatara Township, former member of Lower Swatara Township Sewer Authority, former member of Middletown School Board, member of Lower Swatara Township Fire Department, EMS and Lions Club, member of Prince Edwin-Spring Creek F&AM Lodge #486, and Astro Chapter OES, Tall Cedars of Lebanon; and he was an umpire for ASA Umpires Association. His greatest joy was the love of his family especially his grandchildren. He is survived by his loving wife of 47 years, Joyce L. Ard Fox; son Richard A. III, husband of Julie Fox of Middletown; daughter Sheryl M., wife of Paul Leggore Jr. of Middletown; and four grandchildren Alexis and Ricky Fox, and Connor and Caleb Leggore. A Tribute to his life will be held at 11 a.m. on Friday, September 21 at Garden Chapel, 468 Edinburg Rd., Middletown, with Associate Pastor Jon Shiery officiating. 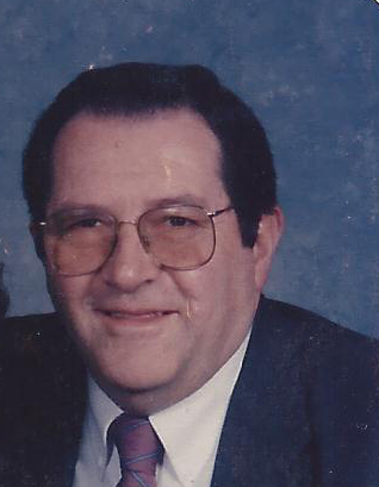 Visitation will be from 10 a.m. until time of service on Friday at the church. Inurnment will be immediately following the service at Blue Ridge Memorial Gardens, Harrisburg. As an expression of sympathy and in celebration of Richard’s life, memorial contributions may be made to his church.